Every day we hear everywhere that the value of Bitcoin is rising, falling, and potentially has a future in the world of cryptocurrencies. The word ‘Bitcoin’ is essentially everywhere, however, there is another very powerful cryptocurrency Ethereum which is a big competitor to Bitcoin. 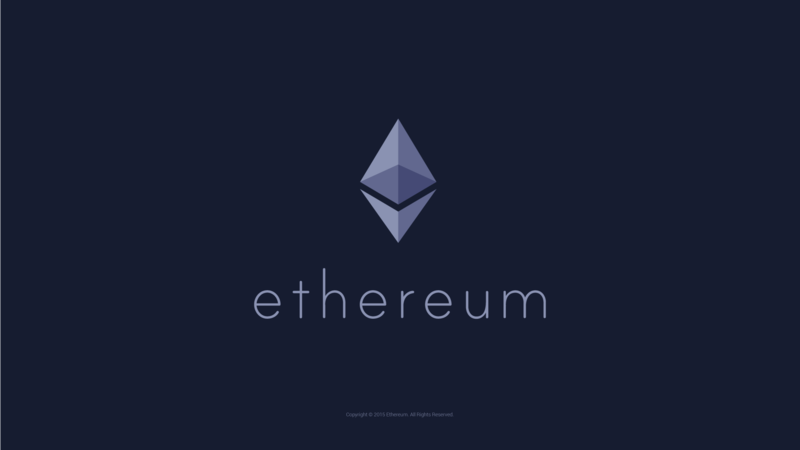 Ethereum was created by the Russian programmer Vitalik Buterin in 2013. He learned about cryptocurrencies and blockchain in 2011, and started reading a bit more about Bitcoin to understand how it works. He dropped out of the University of Waterloo to create his own cryptocurrency. In 2013 he created Ethereum to do things that Bitcoin cannot. Buterin’s idea of Ethereum was not to create just a new cryptocurrency, instead, to code and execute smart contracts without human interaction. Later Gavin Wood created a language, called Solidity, that basically makes these smart contracts. So what really is Ethereum? We know that it was created by Russian programmer Vitalik Buterin and it works by creating smart contracts. What are these smart contracts? And how does ethereum really work? Ethereum itself is not a cryptocurrency, it is a network based on blockchain technology, while Ether is the coin that is mined or produced. Ether helps to run the platform. The maximum supply of Ether per year is 18 million and currently Ethereum has a $10 billion market capitalisation. So Ethereum is a platform that creates smart contracts. This platform is very secure and there is a very low rate of fraud and third-part inference. So a developer runs the code using Solidity language for two or more parties. When the code is written it is uploaded on the Ethereum Virtual Machine where the code becomes the smart contract. The contract is designed for two or more parties and when the conditions in the contract are met one of the parties will receive asset – Ether. As an example: you decide to create a logo for your company. The company has concrete requirements and conditions on how this logo should look. The code is written; colours, size and mpx are stated there. When you create your logo and send it on, the code will check if all the requirements are met. If everything meets this criteria you will receive money and the smart contract gets initiated automatically. These contracts give a security for both parties not to cheat. So as any transaction and codes are stored in the blockchain you can always trust and verify when needed. How these contracts can be used in real life? There are many used cases for Ethereum, for example in Real Estate, Supply Chain Management, Intellectual Property Rights or even Payments for electricity. Slock.it is a smart locker, it gives opportunity to connect the blockchain to something physical that people can observe and understand. Slock.it gives you a chance to rent something in more automated way. Many people have unused vehicles, objects, apartments that can be rented in a more smart way. A simple example is humble lock or Slock. 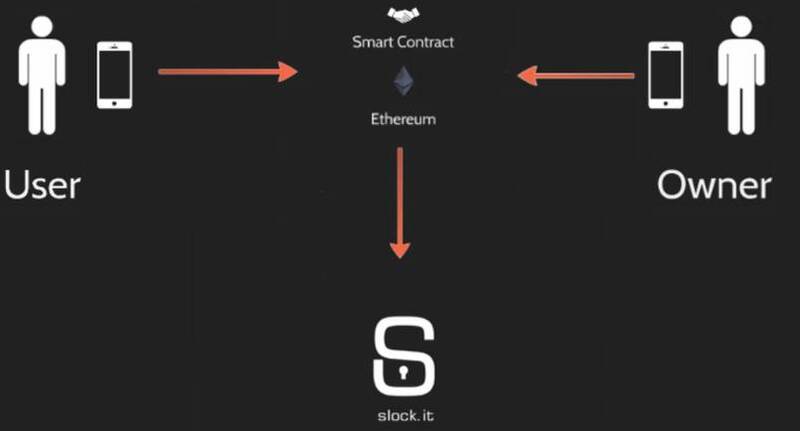 A Slock can be used with Ethereum contract to open anything, for example a door in Airbnb Apartments, or a vehicle in the street (https://slock.it). The transactions will benefit from transparency, auditability and security properties provided by the blockchain. Another cool project built on on an Ethereum Smart Contracts is uPort. 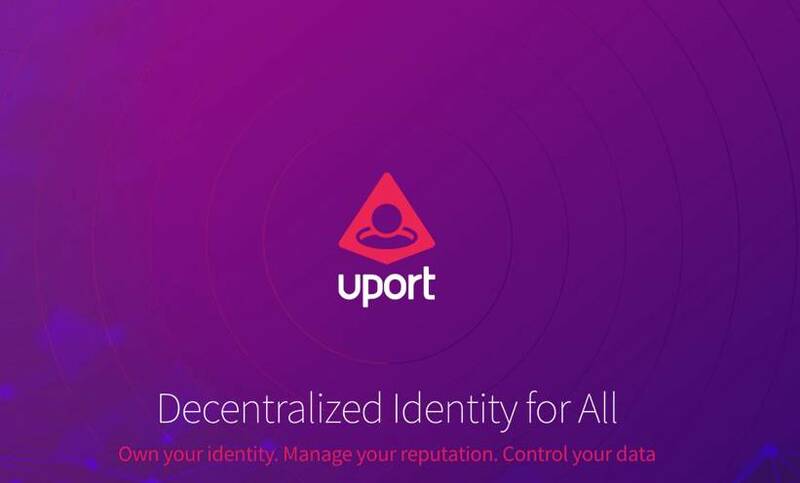 uPort is “A self-sovereign identity and user-centric data platform”. What does this really mean? Basically uPort is a digital representation of the person or company. That allows you to digitally sign the contracts or verify your identity. For example you want to register in any website, usually you can do that with facebook account, uPort does something similar but all the information will be stored in blockchain and you can check it at any time. This creates a secure and decentralized system of credentials in the web. It can be a very powerful tool in the future even in our everyday life, for example if you decided to change music provider you will not lose your playlists with uPort. Golem is one of the projects developed using Ethereum. “Golem is a global, open source, decentralized supercomputer that anyone can access. It is made up of the combined power of users’ machines, from PCs to entire data centers” (https://golem.network). Today there are many websites that offer job for so freelancers who are not working for just one company, these people find tasks they can do, perform them and get money. For example, if some architector want to make his drawings look like real life photo he can find a freelancer who will do this job for him, but this can take days or even months. That is why Golem is created, it divides a big task into smaller tasks and send them into different servers where they are performed at the same time, making the process faster and more accurate. Golem can be used in many ways for example in Science work, dissertation, chemistry laboratories. While Bitcoin is just currency and everything you can do with it is just pay for goods and services, Ethereum is a big system using which you can create your own project or tools for businesses that can be used in everyday lives.